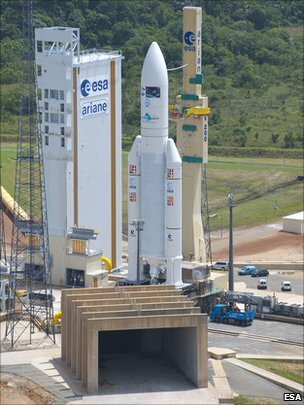 eNLokam: The 200th mission of an Ariane rocket!!! The 200th mission of an Ariane rocket!!! Europe’s unmanned space freighter is ready to be launched from French Guiana. This launch is doubly significant because it marks also the 200th mission of an Ariane rocket since the vehicle series was introduced in 1979. At more than 20 tonnes, the truck will be the heaviest payload an Ariane 5 rocket has ever lifted into the sky. 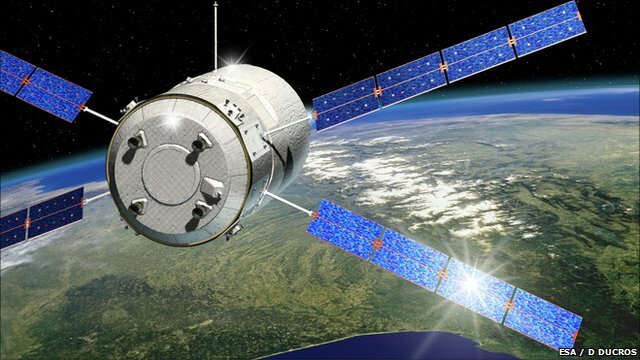 The robotic ship, dubbed Johannes Kepler, will be delivering food, air, fuel, experiments and other equipment to the International Space Station. Another key task for the freighter in the coming months will be to push the station to a higher altitude. The ISS has a tendency to lose height over time as it brushes through the residual atmosphere still present 350km above the Earth. Johannes Kepler will dock with the rear of the platform and use its propulsive might to boost the station’s orbit. “Kepler’s mass at lift off will be 20,062kg. This is a record for the launcher and for the European Space Agency.